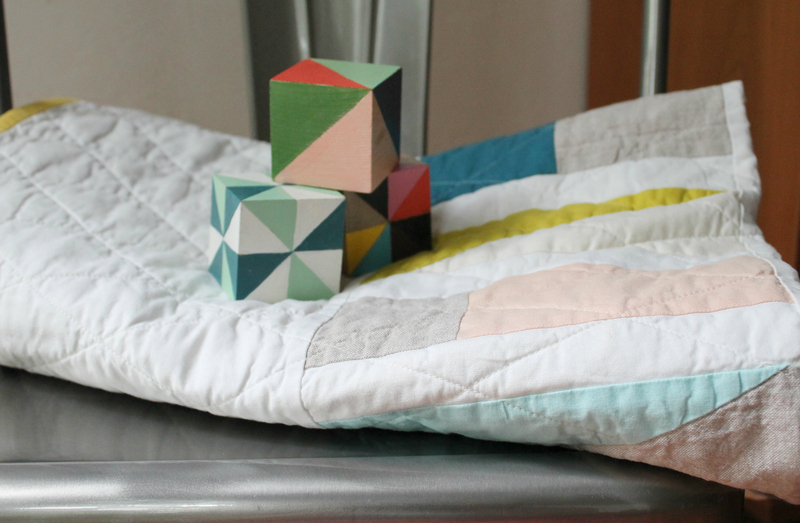 This super simple quilt was inspired by a photo of pretty modern dominoes. How you would play with them I’m not sure, but they certainly looked great all lined up. The dominoes were a mix of painted and natural wood, so I used Essex cotton-linen blend to create a similar look. It took me a while to get the half rectangle blocks right–but I really love the shape. My husband picked the yellow for the binding, which looks super with the gray gingham backing. I love this design so much I just started another one! This entry was posted in quilts on April 9, 2015 by brigitdermott. What a lovely interpretation – you are very creative! Good work. Great pattern! Love the soft colors. A very unusual design! This is such a great quilt. This is awesome! I love your color scheme. And the yellow was a great choice too. 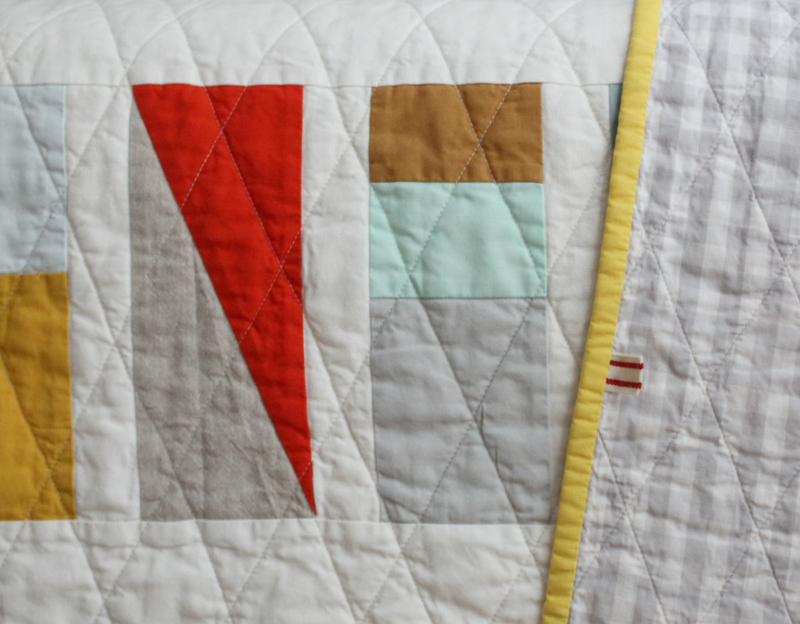 Your quilting with all the white negative space is beautiful. Thanks for sharing! 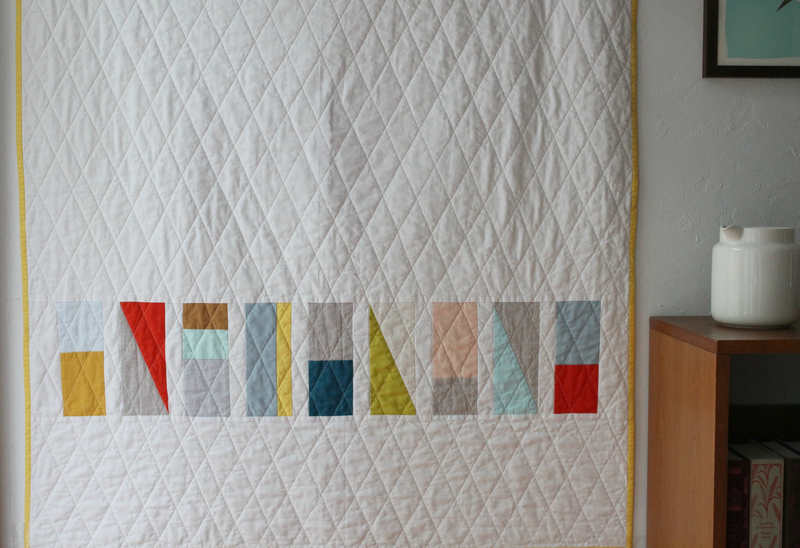 This quilt is stunning, great modern aesthetic, love every element. The cross hatch is so straight, nice work.